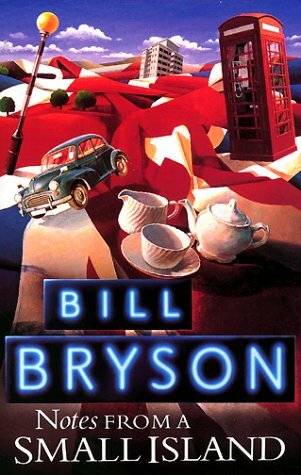 The first book I finished this year was Notes From A Small Island by Bill Bryson, a sarcastically comical account of an American's (Bill Bryson) solo trip around England after having lived in the country for over twenty years. Having worked, married and started a family in England, the trip serves as a last hurrah of sorts before he moves his English family back to his old stomping grounds, the United States. The book is a perfect blend of humor, travel recommendations and nostalgic memories relating to the British culture and way of life and it's a must read for any American who's spent any considerable amount of time in the United Kingdom or any other British-English speaking country such as South Africa. I know that I certainly enjoyed it and found myself doubled over in laughter on more than one occasion. I'm looking forward to reading some of his other books in the future, particulary, this one. I finished the second book, The Last Lecture by Randy Pausch, just yesterday and found myself completely inspired and in tears as I finished the last pages. For those who haven't heard of the Last Lecture, it's a book by a Carnegie-Mellon Professor who's been diagnosed with pancreatic cancer and given just months to live. As a way to inspire others and leave a living legacy of himself for his students, wife and young children, he participates in the University's "Last Lecture" series where tenured Professors are invited to speak on life lessons they've learned throughout their career. 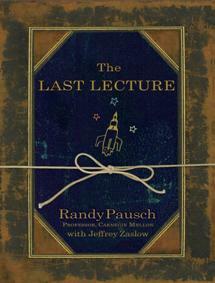 In this case however, it really is somewhat of a "last lecture" for Randy Pausch. The book is for the most part based on his last lecture presentation at Carnegie Mellon, but it goes a little deeper into his personal life and discusses more about his future hopes and dreams for his wife Jai and three children. He also talks about how him and his wife still try to maintain a normal marriage and family life, despite his diagnosis. The book really is life changing and the author's bright, spontaneous and comical outlook in the midst of tragedy really made me realize how grateful we ought to be for the time we've been given. A quote on the inside of the book's cover page really hit the nail right on the head in saying that "The Last Lecture is an inspirational and heart-warming book about living, not dying. It should change your life. Because time is all you have... and you may find one day that you have less time than you think." It's a quick read (I read it in two days) and I recommend it to anyone and everyone reading this. If you'd like to watch his Last Lecture on YouTube, you can find it here. Oh, I've read The Last Lecture too, and it truly is inspirational! 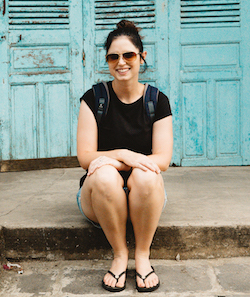 Going to take your advice and check out Notes from a Small Island. Thanks for the tip! oh awesome! i'm looking for a new read once i finish hunger games! i'm definitely going to look into these! The Last Lecture was an AMAZING book!!! Ah I read Notes on a Small Island a few years ago and I absolutely loved it!! You must also read "Down Under" by Bill Bryson, it's based on his travels around Australia and it's absolutely hilarious!! Will definitely give The Last Lecture a try! I'm busy with "Killing Kebble" at the moment which is taking me a while to plough through! Gosh, I've been meaning to read "The Last Lecture"...I saw him speak at a seminar (not in person though) and was just so inspired by his tenacity and outlook on life. Thanks for the review! i needa new book to read, im gonna look into this! omg the last lecture makes me cry every time!